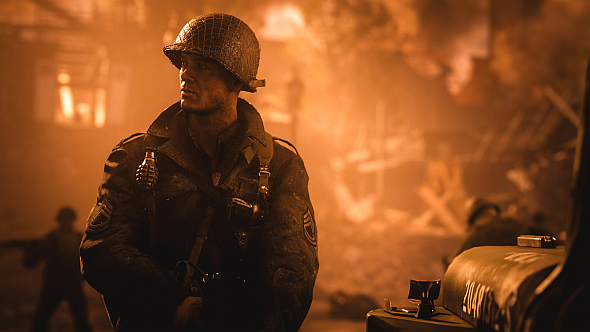 Call of Duty: WW2 was the best-selling game across all platforms in 2017, according to industry analysts The NPD group. Call of Duty: WW2 made it onto our list of the best games of 2017. US NPD SW – Call of Duty: WWII was the best-selling game in December, as well as for the year. December 2017 is the eighth consecutive December that a Call of Duty franchise release has topped the sales chart. Across all platforms, Piscatella also says spending on videogame “hardware, software, and accessories grew 10% when compared to a year ago, to $3.3 billion.” Hardware sales were the biggest driver of growth. While Call of Duty might have topped the charts, driving the highest spending among customers, racing games including Forza Horizon 3, F1 2017, and Project Cars 2, saw a significant increase in sales. The genre sold 68% higher in 2017 than in 2016. You can check out Piscatella’s entire highlight thread here, or check out a video in which he discusses those highlights in a little more detail at the top of this article.